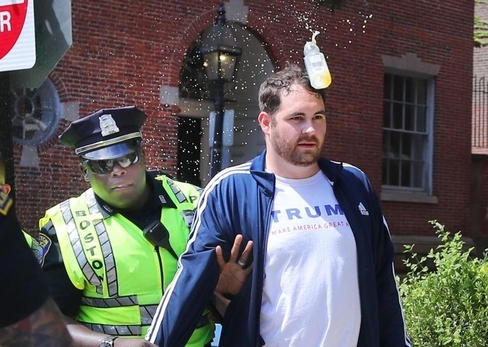 As a police officer escorted a participant in the Boston Free Speech Rally away from the scene, a water bottle was flung at the man's head. 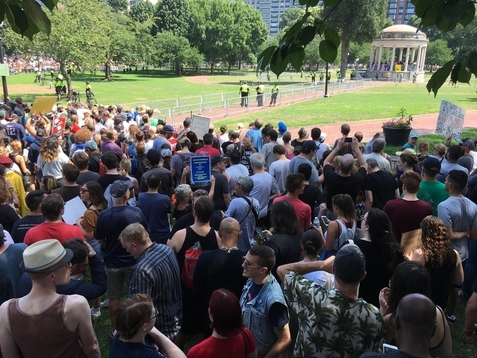 If a free-speech rally is held in a Boston Common pavilion but no one can get close enough to hear it, do the speakers make a sound? This column is adapted from the current issue of Arguable, Jeff Jacoby's weekly email newsletter. To subscribe to Arguable, click here.